UNITED STATES: A Texan data firm with a history of working in the oil and gas industry has launched a new business segment aimed at floating wind. 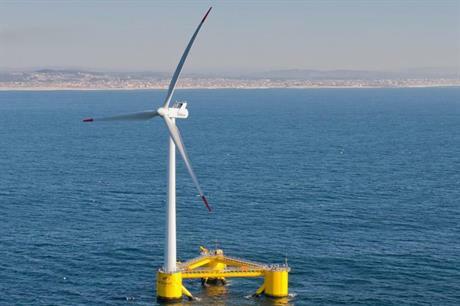 Quest Offshore Resources' new business unit Quest Floating Wind Energy will focus on driving the economics, technology and supply chain for floating wind. The unit said it aims to provide "customised analysis to aid businesses, government bodies, financial markets and the entirety of the supply chain in making strategic and qualififed data-driven decisions". Quest has also launched a database featuring 250 data fields following floating wind projects throughout each stage of the supply chain. The company will be led by Quest founders Paul Hillegeist and John Chadderton. "Goals are being reached ahead of schedule due to the technical achievements and determination of those sharing the same ambition to unlock the potential of the world’s most intense wind areas. "Eighty-percent of these areas lie in waters beyond the reach of fixed turbines, making floating wind a key player contributing to the world’s energy transition into a low carbon future," Chadderton said.